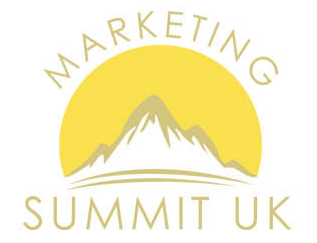 Just coming back from the marketing summit UK held in Manchester over the weekend and going back through my notes – let's see what I can put down on paper. One of the most exciting things about the lead up to this weekend hit me as we were boarding on Friday afternoon. Because that is so often NOT the case in our industry. And a big part of that comes from most people (especially when they are starting out…) are working nights or weekends on the internet trying to scrape together the cash and for them it isn't a business. But for me… Who has been lucky enough to work online (Full time) for a couple of years – it is easy. But after the weekend… there was some fantastic speakers. Some ‘Heroes' of mine. And the lessons learned not only re-inforced my Software Developers position but also expanded my conciousness in a few GREAT ways. Let's go back through the notes. Brad was an eye opener for me. Firstly because his marketing ‘mojo' and mine don't always add up. My background as ‘good boy' and one who stays out of trouble – had difficulty relating to the ‘half baked' image that Brad always presents. So saying – I was really impressed by Brad's message. Brad opened with talking about our business – as a business. And asking – Would the CEO of your ‘larger company' do what you do?? “If You Don't Like It, Aren't Good at It, Or just plain Don't Want To Do It… Outsource it!” was Brad's answer on the question of WHAT should be outsourced. One of the chats I had with Brad later, was about the next part of his talked where he went on in a bit more detail about the assets. and we talked about the ‘graduating' steps for product developers… Getting OUT (as fast as possible) of the lower end products that can be churned out and more often than not are obsolete in 6 months. Getting GREAT products out there that are still the best in 5 years time. That is the kind of business that is an exciting one to be in the front of. Right? Building Real Assets and Front of line Products – That is a cool thing to take away indeed. Showing people exactly what they need to do – to achieve an end result. Covering all the steps and details – and then at the end, offering a ‘done for you' service or piece of software that automates the task. That was a big thing for me. Split testing landing pages, even headlines and more – can be done easily… and the evidence is clear. Getting an Outsourcing MANAGER was a revelation for me too – someone who is paid higher… but oversees the people doing the tasks… gives you ONE person to instruct and one person to liase with. A good person to have in your team. There was some other juicy Notes from Brad, like buyer profiling and fast traffic methods that really resonated with me too. This is Brad and Mark Lyford who also gave an intense talk. Anthony Tilley spoke to us about Solo ads – And while this model is not something I am interested in (per-say) it certainly brought home the value of continuously building the database of your active subscribers. I put pen to paper – and started ‘Operation 52 squeeze' To make sure I have 52 new Lead capture pages set by the end of the year. An AWESOME presentation. Really struck home with me. Marks products cater to much much wider audiences and the biggest thing I took from Mark's speech was the way in which to FIND these markets and then build marketing programs and products into the need. The reality here on this presentation is KNOW YOUR NUMBERS. and the importance of that message. Once you know your numbers… from every traffic source, you can scale up to an infinite level. One amazing (for me) session was the ‘Dragons Den'. We were broken into groups of 12 people and had to come up with a piece of SOFTWARE in that time. We had to have a plan for it, a sales funnel and be able to present it to the ‘Dragons', from whom we were seeking investment capital. It was AWESOME…. and something that will stay with me for a very long time. Mostly because of the PROCESS and the end result. A something to remember… that I got taught, During Brainstorming there are NO wrong answers. So we stared brainstorming on a niche.. Looking for a big market – was something we had just been taught. From those two – the niche we chose was a good size and one who spends. from there – to back track, we ended up with a very nicely featured APP for mobiles that could be downloaded Free – and had upsells to higher memberships with recurring income as well as ‘In App' purchases to bring in Revenue. $20,000!!! for an idea – that was well planned but born in just 20 minutes. It means…. sit down and follow the strategy, of finding a big enough market… and then profiling the people in the market… and producing a product that solves an issue for that market. Can you make $20,000 in 20 minutes following this model HECK YEAH! And in fact… you can make a lot more…. Worthy. VERY Worthy exercise indeed. Paul Clifford Was next and was Incredible!! I'll pop the rest of the weekend on another post…. 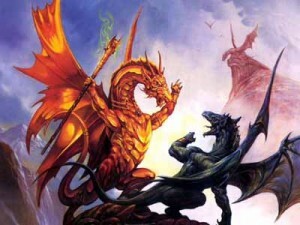 Great post, I especially liked the dragons den although I'm still not sure who won? Great team building exercise with ( as you say ) some real sustainable ideas. Its amazing to see what can be achieved in 20 mins. Great to see likeminded people passionate about marketing.. Looking forward to the next one. Hey Walt – Glad you liked it, great to meet you in person!